Just in time for Easter, perhaps the largest collection of "Easter Eggs" to ever be assembled on film debuts in theaters today—Ready Player One. Orphaned protagonist destined to be a hero? Check. Clichéd evil corporate antagonist? Check. Characters set out on a quest to find a treasure and end up finding out more about themselves along the way? Check. Final battle where good triumphs over evil? Check. When I initially read the book, I thought it was entertaining, despite its overt fan fiction feel. And I'm not one of those readers who expects every story I read or movie I see to be wholly original; we are definitely at a point in history where everything is informed in some way or another by something that preceded it. I haven't gone back and re-read the book, but seeing the trailer for the film adaptation leaves me feeling... exhausted? The visual representation of all of those pop culture references, whether overt or eye-winking, just comes across like information overload. And perhaps that's the whole point—a total pop culture apocalypse. The guy in control of all those billions of 0's and 1's blasting through the (n)ether and onto the screen? One of the bastions of blockbuster pop culture himself—Steven Speilberg. If ever there was a purveyor of Easter Eggs and MacGuffin's, it's Speilberg—Indiana Jones, Back to the Future, Jaws, Jurassic Park, to name just a few, are chock full of the things! Speilberg seems like both the perfect and worst person to have adapted this book for the screen, as the characters and story seem to be influenced by or directly rip off Speilberg's own past achievements. Talk about pop eating itself! 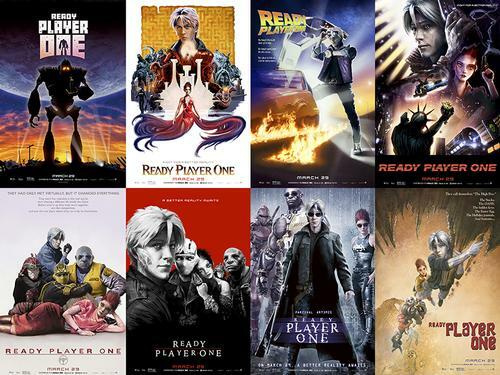 To list all the pop culture images and characters in the book and film versions of Ready Player One within one blog post would take an infinity, let alone probably give away a bunch of spoilers. Suffice to say, someone more ambitious then me has listed the over 100+ references and Easter Eggs present throughout the story. WHEW! You can also browse and borrow titles related to Ready Player One from the following list, all available in our catalog. 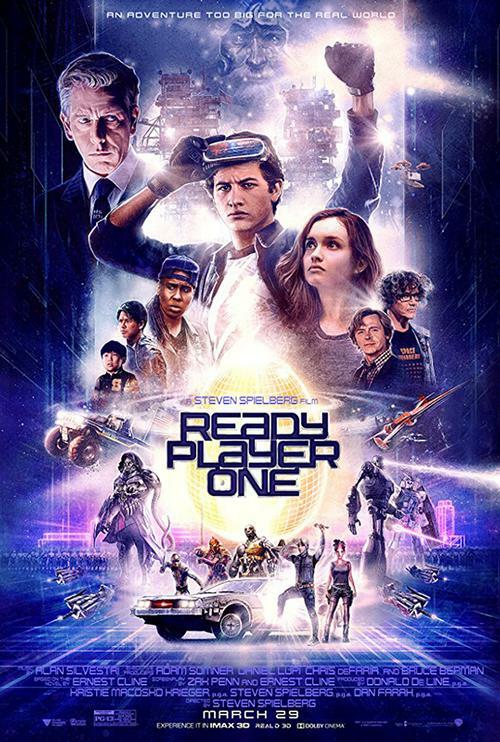 Ready Player One, adapted from Ernest Cline's novel of the same name, opens in theaters March 29, 2018. Some of the pop culture references and Easter Eggs from Ready Player One appear in these homage posters. I saw Ready Player One and I enjoyed it at the time. However, it did not leave me with much. Just like the Hunger games series, without the inner monologue of the main character, many things did not translate. I guess we will see Ernest Cline's Armada next on the big screen. See you in the Oasis if it ever comes to fruition.